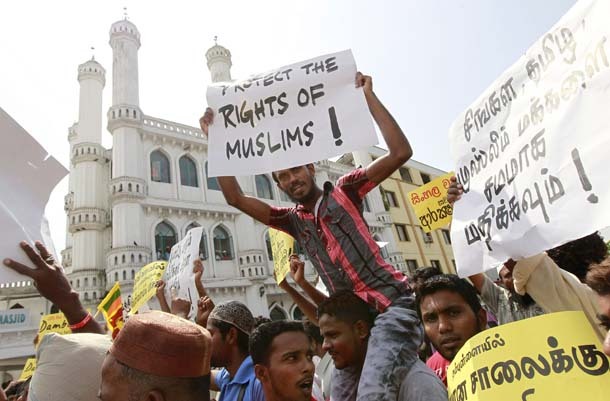 JNN 18 June 2014 Colombo : The Islamic Educational, Scientific and Cultural Organization (ISESCO) called on the United Nations and the international community to condemn attacks on Muslims in Sri Lanka by fanatical Buddhists led by monks demanding boycott of Muslims on racist grounds. ISESCO in a communiqué released today faulted as a terrorist act the attacks against Muslims and their property in Sri Lanka, stressing that an immediate move and firm stances from the Sri Lankan government and the international community are needed to protect Muslims in Sri Lanka and punish the perpetrators of such criminal acts. The communiqué also disapproved of Buddhist monks’ incitement to criminal violence, casting it as counter to the principles of non-violence and peaceful coexistence intrinsic to Buddhism and the core goals of the initiatives for dialogue between people from different religions and cultures in which Buddhist activists from various parts of the world are involved. Further, ISESCO called on the OIC to immediately intervene and urge the Sri Lankan authorities to end these crimes and prevent further attacks, protect Muslim communities and preserve their interests as fellow citizens. This entry was posted in Asia Pacific and tagged Buddhist, buddhist monks, International Community, ISESCO, Mulslims, Sri Lanka, Terrorists, United Nations. Bookmark the permalink.